Researchers at Australia's Garvan Institute of Medical Research have developed a new technology based on synthetic human genome sequences, which they have dubbed “Sequins” and describe as synthetic mirror DNA sequences that reflect the human genome. The new technology is described in two linked studies—“Spliced synthetic genes as internal controls in RNA sequencing experiments” and “Representing genetic variation with synthetic DNA standards”—published recently in Nature Methods. The researchers are hopeful that this intuitive new technology will become useful for better genome mapping and analysis, in both analytical and clinical laboratories. The human genome is riddled with complexity, yet fundamentally simple, containing only four DNA “letters” (A, C, G, and T) that constitute more than 6 billion DNA bases. While an individual’s genome can be sequenced relatively cheaply and quickly, the subsequent analysis of the human genome is a much deeper and more complicated problem. Dr. Mercer and his team came up with the idea of adding sequins to a patient's DNA sample during sequencing. These sequins (or sequencing spike-ins) then act as internal standards, helping researchers analyze the large data files that are generated during genomic sequencing. When sequins are added to a sequencing reaction as internal controls, they provide the means with which to assess the sensitivity and accuracy of genome sequencing. Since sequins are added to each sample, they can provide a sample-by-sample assessment—an analysis that has not previously been possible. The Garvan researchers believe that clinical diagnostics is an area in which using sequins should lead to improvements—for example in cancer diagnosis. Moreover, the use of sequins may also make it possible to directly compare genomic data from research institutes and sequencing centers worldwide. 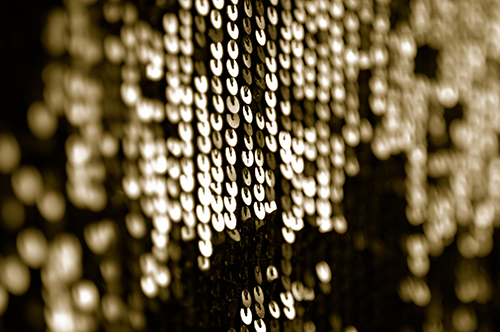 “Sequins bring DNA sequencing to clinical standard, and will be an essential platform for genomic research and medicine,” said co-author John Mattick, Ph.D., executive director at the Garvan Institute. Since all genomes, from bacteria to human, have handedness, sequins can be similarly designed for any organism, or for almost any next-generation sequencing platform, making the potential applications of sequins almost limitless. And the best part for researchers is that the sequin technology is freely available. “This is another important step in advancing Garvan's mission to bring genomics to the clinic,” said Dr. Mattick.